This is the guide about how to rip your movies off the discs and store DVD library on iCloud service for backup or making it viewable on your Mac, iPhone, iPad, Apple TV anywhere anytime. "I'm trying to copy my wedding DVD to my iCloud drive so I can play it back using Apple TV as well as ensure it is saved on the cloud for future." DVDs are trapped on physical platters, which are bogged down to file sync error for Apple users who want to upload DVD to iCloud. This is because the cloud service doesn't facilitate with physical DVD movie syncing. To put DVD library in iCloud, you have to digitize DVD into a video file that is iCloud-friendly and then upload it to the storage service for streaming further. Here a high-quality DVD to iCloud converter is shared for you, dedicated to getting the video content off physical disc and transfer it to iCloud for storing and playing on your iMac, Macbook, Apple TV and iDevice, from anywhere. That is MacX DVD Ripper Pro. 1. There is no need to slide the disc into a DVD drive each time you want to play the movie. 2. After you upload DVD movies to iCloud, you free up space for physical hard drive that houses the movie files. 3. Once converting your movie library to digital files and save them onto iCloud, you can safe keep your DVD collection and avoid disc scratches, damage or loss. 4. By digitizing DVD into iCloud formats, you can extend your viewing options and watch DVD movies on Mac, iPhone, iPad, Apple TV via iCloud drive, without taking around DVD discs. MacX DVD Ripper Pro is the no.1 choice that offers easier and more feasible storage, organization and management of your DVD discs, whether they are encrypted with CSS, region code, Disney X project DRM, or Sony ARccOS. It makes it possible to save your whole DVD library on iCloud by digitizing DVDs into MP4, MOV or other common formats. Below are the step-by-step guide. Step 1: Free download the iCloud DVD converter on your computer, install and run it. Load the DVD movie by hitting the DVD Disc on the main interface. It also supports converting DVD ISO image or DVD Folder to iCloud supported formats. Step 2: Choose output format. Generally, iCloud is in Apple ecosystem, so make sure the output format is preferably MP4 or MOV (H.264/HEVC) that is Apple friendly. To strike a perfect balance between file size and quality, we suggest choosing MP4 H.264 as the output format, which is also recognizable by Apple TV, iPad, iPhone, iMovie and other Apple devices and apps. Step 3: Click Browse to choose the location where you want to save the DVD movie. Step 4: Click RUN button to start ripping the movie content off DVD into a file format recognized by iCloud. It won't take too long to convert the whole disc. Note: generally, a 4.7GB DVD is converted to a file under 1GB. But iCloud only has 5GB of free storage. To have more movie files uploaded to iCloud, you need to make sure there is enough storage space on iCloud. Once you've converted the discs to digital MP4, you can store your movie library to the cloud service for streaming later. Here is the guide on how to sync and upload converted DVDs to iCloud. Step 1: Start you iCloud on your computer browser and log in your account. Step 2: Click on iCloud Drive icon. Step 3: Click on "Upload" and go to the folder that you store the DVD file. 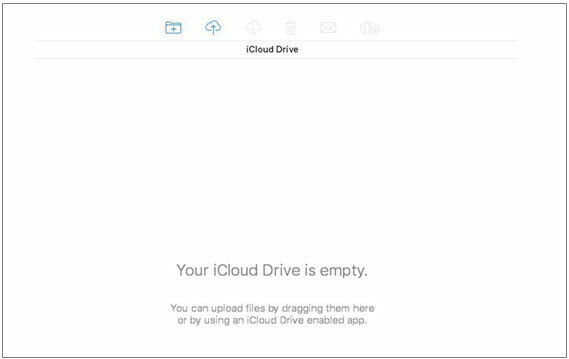 Step 4: Select the converted DVD file you want upload to iCloud Drive, and click "Apply". Just wait till the movie sync finishes, you can enjoy the converted DVD movie on any Apple device once you log in your iCloud account. What's iCloud: iCloud is a cloud storage service developed by Apple on October 12, 2011. It is used for storing data like movies, photos, music, documents, etc on remote servers so that Apple users can download them to iPhone, iPad, Apple TV, Mac or Windows. Note: MacXDVD Software doesn't advocate making a copy of DVD for selling or other commercial uses. These activities constitute copyright theft. Digitize a full DVD to MP4, MOV, etc in 5 mins and sync movie library on iCloud for streaming! 3 DVD Is Scratched and Won't Play, Here's the Fixes!